Steel tunnels to connect to most types of existing structure. 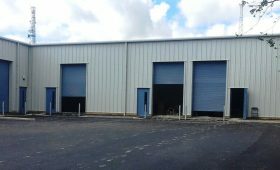 From start-up businesses to multi-national corporations, our experts are on hand to help produce your steel building to your concept design. 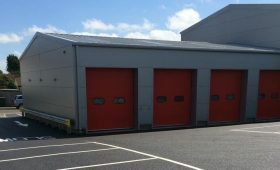 Our steel framed buildings can be designed to incorporate a range of composite wall and roof panels which are perfect for energy efficient industrial units, with fire resistance as required. 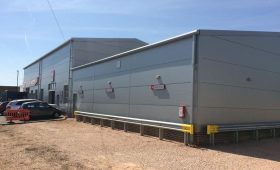 Single skin panels are also available for storage buildings and more price sensitive projects where buildings are not heated. 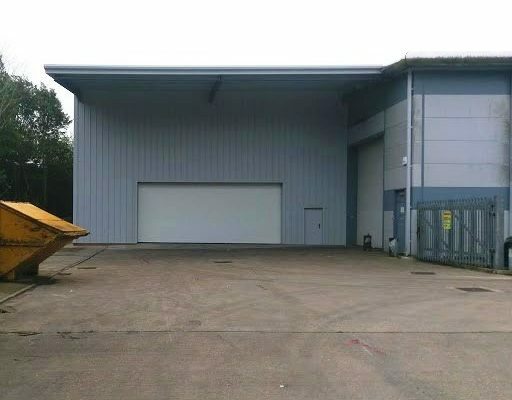 Our consultants will help you to design your industrial building based on your concept, guiding you through the options of single skin plastisol or insulated panels and we will provide you with a sketch so you can see just how your building design concept will look. 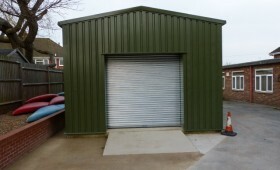 If you have already appointed architects or designers we will happily liaise with them, alternatively, we have our own partner architect who will be pleased to handle your planning and building regulations applications and advise on potential issues, for example boundary conditions which may influence the specification of your building. 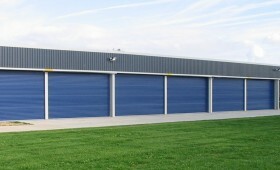 Engineer’s drawings for your planning application will be with you in days and full calculations supplied on request. 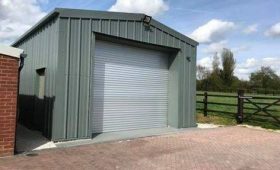 You can choose combinations of windows, personnel doors, roller shutters or double sliding doors (other doors available by request) from our range of quality accessories. 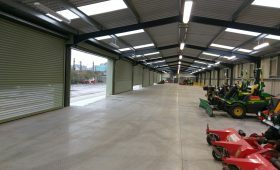 Mezzanine floors, partitions, pallet racking and steel shelving are also available to kit out your building. 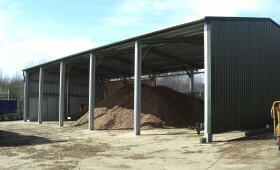 Our planning application service and professional building assembly service is always available.